Borrow against the equity in your home while you live in it. Counseling is federally required for all reverse mortgages. Reverse mortgages are designed for an older audience who are often on fixed incomes and involves what is usually everyone’s most valuable asset—their home. A counseling session can take place either face-to-face or by telephone. We will provide you a list of counselors. Loan originators are not permitted to direct you to a specific counselor or agency. Counselors have been trained to deliver the required information either way. The session should generally last 90 minutes but can take longer as needed. You can invite any family or advisors you want. If you decide to proceed with the loan, you now select a lender. We will conduct a financial assessment to ensure you have the financial stability to continue paying your property taxes, homeowners insurance, homeowners association dues, and other property charges. We will then analyze all income sources – including pensions, Social Security, IRAs and 401(k) plans – as well as your credit history. We will look closely at how much money is left over after paying typical living expenses and decide whether to set funds aside to pay for future tax and insurance payments. 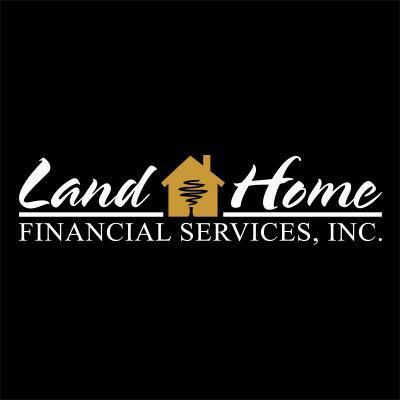 If we determine that you won't be able to keep up with property taxes and hazard insurance payments, we are authorized to set aside a certain amount of funds from your loan to pay future charges. The amount set-aside will be based on the life expectancy of the youngest borrower. The lender orders an appraisal by a professional appraisal firm. It is paid for by the homeowner. This determines the market value of the home. However, the final value is not established until the Loan Underwriter employed by the lender reviews the appraisal and approves it. Once your loan has been approved, a closing (or signing) is scheduled with a title agent or attorney (depending on the state). We will confirm the payment plan with you, plus any requested cash lump sum agreed upon. Closing documents and final figures are prepared. Please note - the HECM must always be in first position. You can receive the money all at once as a lump sum, in fixed monthly payments – either for a set term or for as long as you live in the home – as a line of credit, or as a combination of these. A loan “Servicer“ manages the account and is responsible for disbursing payments to the homeowner and sending periodic statements. The Servicer also monitors the account to make sure real estate taxes are paid, insurance is maintained and the borrower continues to live in the property. The loan is repaid when the homeowner or last surviving spouse on title ceases to occupy the home as a principal residence. No debt will be left to the heirs and if the loan balance is less than the market value of the home, the additional equity is retained by the homeowner/heirs (if the home is sold). All reverse mortgage borrowers must be at least 62. A special type of home loan that allows you convert some of the equity in your home into cash. You built up equity in your home by making... Read More. Reverse Mortgages allow you to tap the equity in your home without making a monthly mortgage payment. Depending on your age, home value a... Read More. You will retain the title and ownership during the life of the loan, and you can sell your home at any time. The loan will not become due... Read More.